As Maya Angelou once noted, “You can’t use up creativity. The more you use, the more you have.” Still, as the tidal wave of daily distractions consumes our attention, it can be all too easy to let those once strong creative muscles atrophy from disuse. It can feel like the once plentiful garden of expression, emotion and artistic joy inside has become barren and abandoned. Don’t let is. This sigil seeks to remind you that more creativity you use, the more you will have. 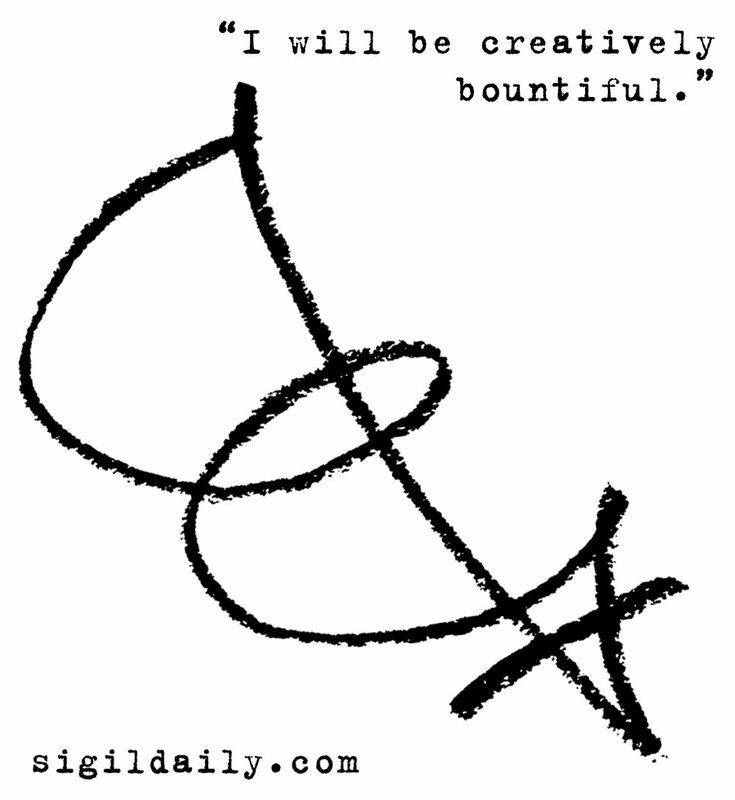 “I will be creatively bountiful.